This October 31st, trick-or-treaters have something a little more ghoulish and spooky to contend with than just ghosts, witches, and Frozen characters. This year’s Halloween will be the 666th in history, making it extra “hellish” for some. 666, which is widely recognized as the “number of the beast,” or the number representing Satan, is almost as unlucky or uncomfortable for some as the unlucky number 13. 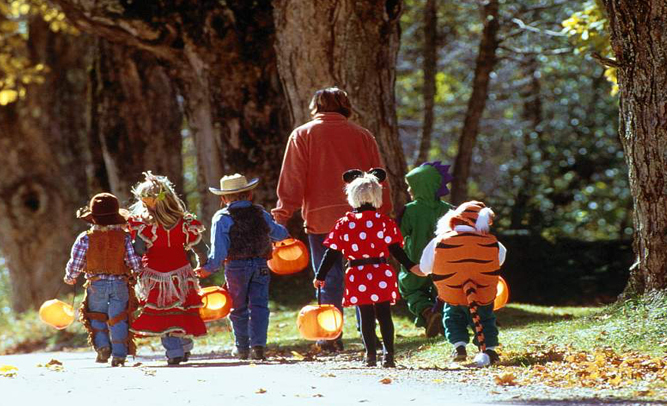 Many parents say that they are refusing to take their children out trick-or-treating this year, in fear of the Devil coming to take their children. According to historians who have completely made up the history of the holiday, the first Halloween, then known as Samhain, took place in 1350. Police say that they will be “extra vigilant” this year in watching for young children who will be out alone, and hope that everyone has a safe, albeit scary, holiday.